Due to a large upcoming project, we are searching for dedicated training personnel to deliver training to our learners. Please consider that currently, we are recruiting those who live and work within or close to London area (within M25). We only consider those who have had minimum 15 years working experience in security industry, particular in Door supervision and Security Guarding. You will be able to connect to all types of people, have the skills to put people at ease, as well as help those who may not necessarily ask for it and deliver security programmes. In addition to the security experience, Army and Police background is an advantage. Proven ability, maturity and confidence to deal with a diverse range of personnel. Ability to work under own initiative, unsupervised, as well as part of a team. Ability to meet objectives and deadlines whilst working under pressure and maintaining professional credibility. Supportive to individuals with a range of learning styles. Ability to work in varying environments. Demonstrate a passion for developing others. Deliver accredited and in-house Security Training (as described above). Preparing all paperwork and handouts for your training events. Arriving early, setting up the training area to our high standards. The role may also include other tasks as directed by the Academy. 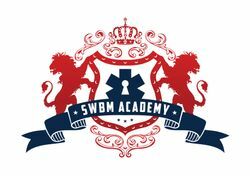 SWBM Academy is a specialist company offering a complete service, from security consultancy and risk assessment to providing unique training solutions. Improve your chance to get this job. Do an online course on Teaching starting now. Hi David, Reach more people by sharing this job with your network.